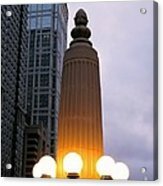 Frank, thank you for featuring City at Twilight in the Chicagoland Art Gallery. 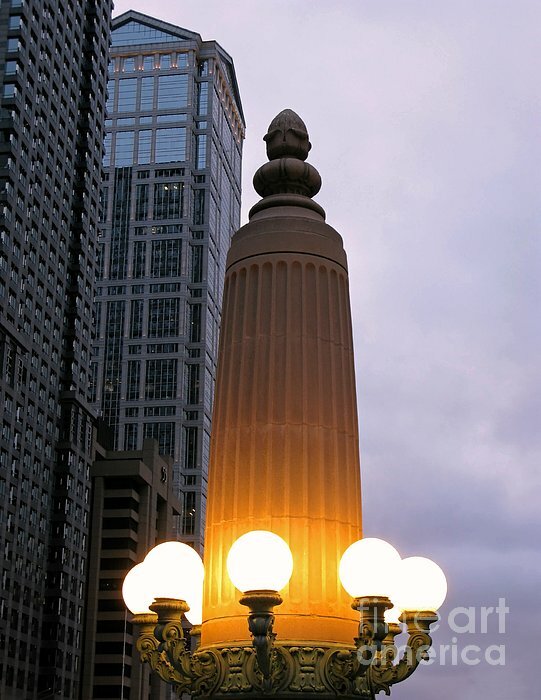 David, thank you for featuring City at Twilight in the Midwest America Photography group. Ann: You have a terrific eye. An outstanding photograph, Ann. Fantastic! Down by the Chicago River, right Ann? As a Chicago Native, this brings me great nostalgia. -- Joe. 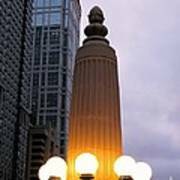 An ornate column and lamppost light a city at twilight. Chicago, Illinois. Copyright 2008 Ann Horn. ALL RIGHTS RESERVED. This copyrighted image does not belong to the public domain and may not be reproduced, copied, altered or manipulated in any way without the written permission of Ann Horn. ann-horn.pixels.com. 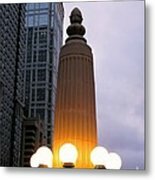 pixels.com Group Features: Chicagoland Art Gallery. Midwest America Photography.